Monaco, December 13, 2018. Most countries are not living up to shark and ray protection commitments made under the Convention on Migratory Species (CMS), according to conservationists. 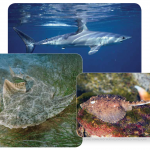 A comprehensive review released today by Shark Advocates International (SAI), Sharks Ahead, documents national and regional actions for 29 shark and ray species listed under CMS from 1999 to 2014. The world’s fastest shark may be swimming towards disaster after a major fisheries body failed to address continued overfishing of the highly vulnerable species, conservationists have warned. Dubrovnik, Croatia. November 19, 2018. Fishing nations gathered for the annual meeting of the International Commission for the Conservation of Atlantic Tunas (ICCAT) have failed to address continued overfishing of mako sharks or strengthen the regional ban on shark finning. It’s a “win” for sharks! And we aren’t talking about the sports teams, but the animals. Fishing nations have recently gathered at the annual meeting of the General Fisheries Commission of the Mediterranean (GFCM) in Rome and have agreed to adopt a proposal from the European Union (EU) to strengthen the regional ban on shark finning. Las ONG de conservación marina han celebrado la decisión este fin de semana de la Comisión General de Pesca del Mediterráneo de prohibir el desembarco de tiburones y otros pelágicos sin su aleta adherida al cuerpo, lo que contribuirá a “cerrar lagunas” en esta práctica en la región.